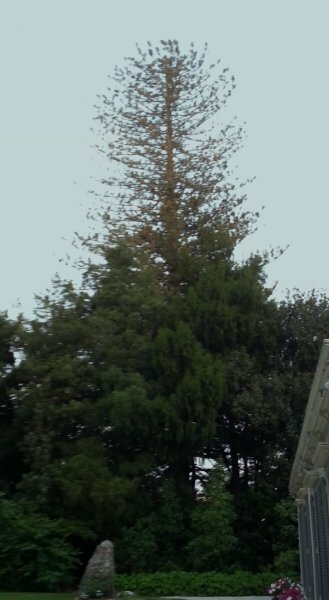 This historic Norfolk Island pine is located in the grounds of The Elms Mission House at 15 Mission Street on the northern point of the Te Papa Peninsula, Tauranga. It was profiled as tree 40 in the 1984 book 'Great Trees of New Zealand' by Burstall and Sale and was tree number 39 in Dr H.H. Allan’s 1940 list of Historic Trees in New Zealand. The tree is reported to have been planted in 1838 during the establishment of the site by The Reverend Alfred Nesbit Brown. 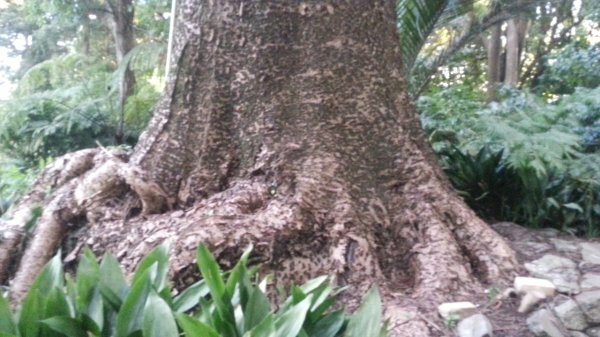 It is a large mature specimen with a straight single trunk. 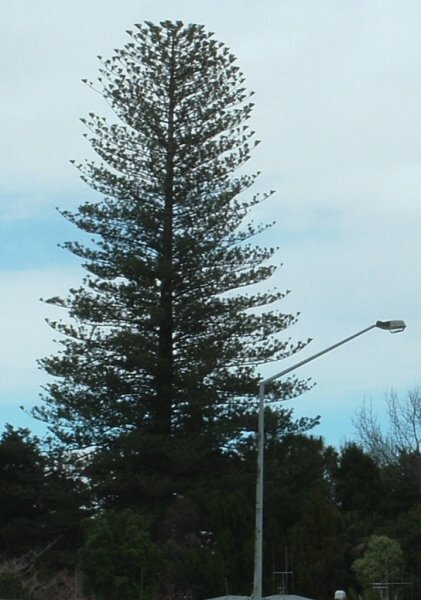 As is typical of very mature Norfolk Island pines, the top has flattened and it no longer has a sharp conical top (Sale, P.O. 2013). The tree is listed as T184 in the Tauranga City Council, City Plan, Register of Heritage Trees. Girth was measured at 1.4 metres. Above the large root flare. 04 Jan 2013 Sale, P.O.